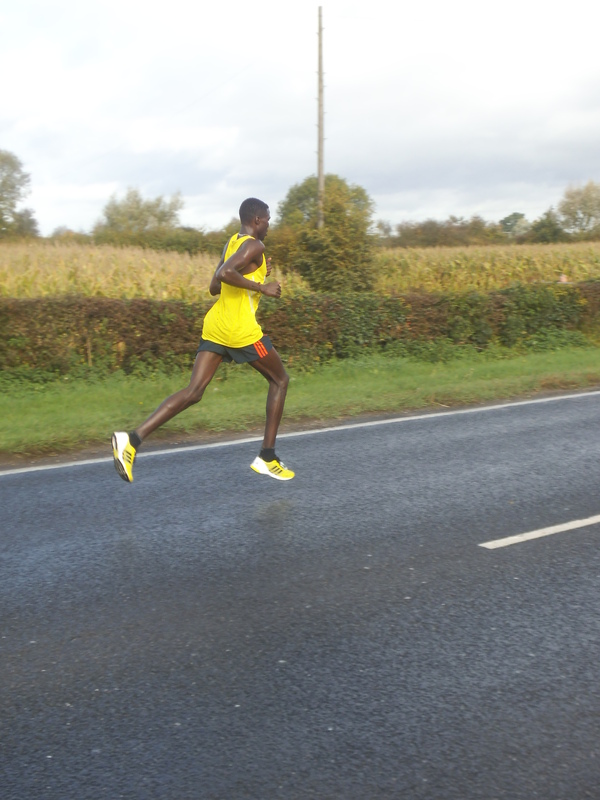 The inaugural Yorkshire Marathon took place on Sunday, 20th October and as several of my friends were running I decided to go along and lend my support. It turned out to be an amazing day out and I had a lot of fun cheering on thousands of people at different stages in the race. I travelled in with my friend Vikki from Kirkstall Harriers and her partner Bethan. 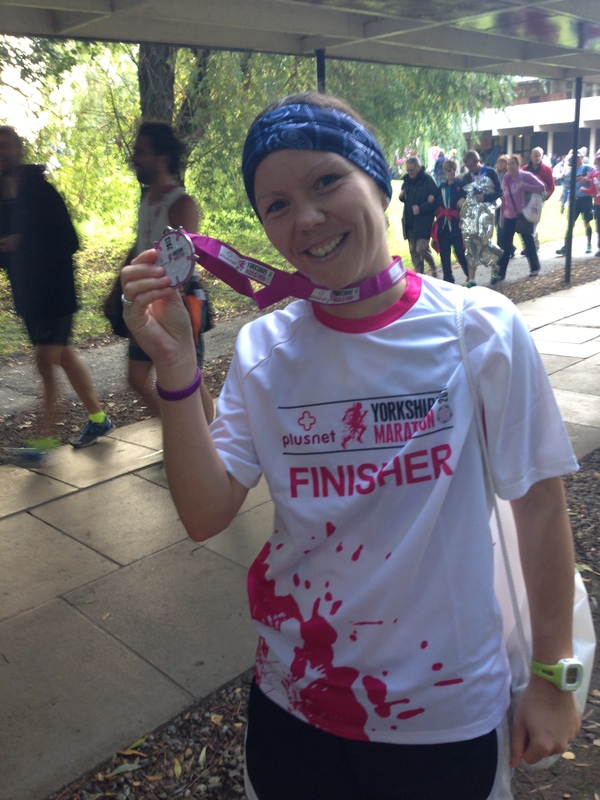 It was Vikki’s first marathon so Bethan and I went all-out to keep her going. 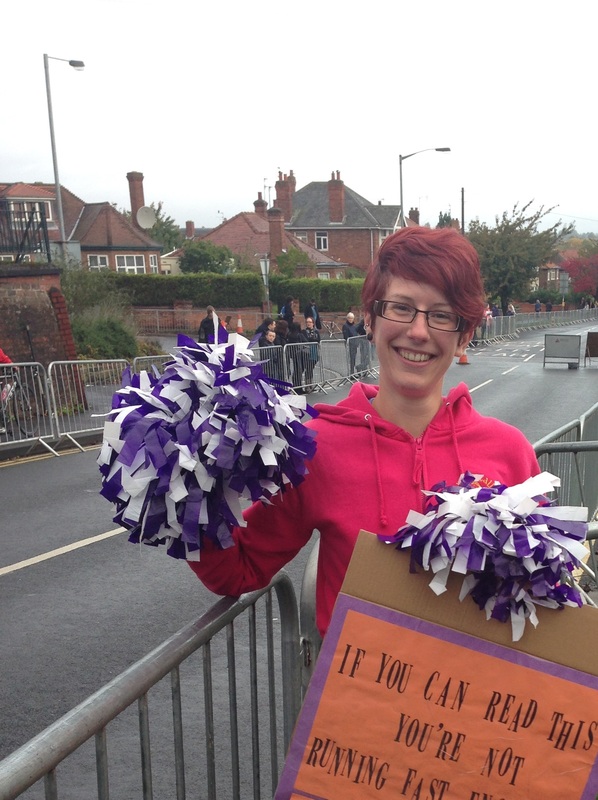 Our first cheer point was just after the start as the runners came down the hill from the university campus and into the city centre. They were all ready and raring to go and a bit bewildered by two girls shouting and shaking pom poms. We then headed back to mile 18, which is about the stage where most people are beginning to struggle. 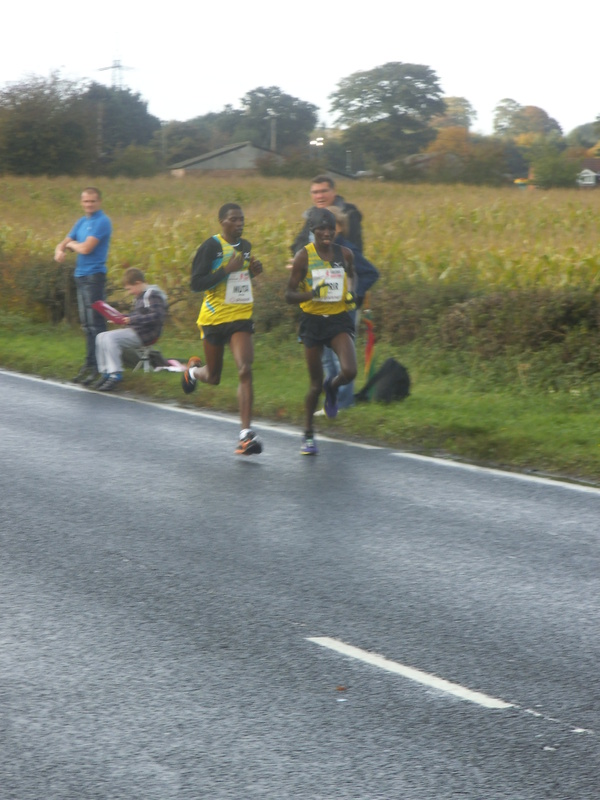 It’s fair to say there were fewer smiles from the runners at this point! 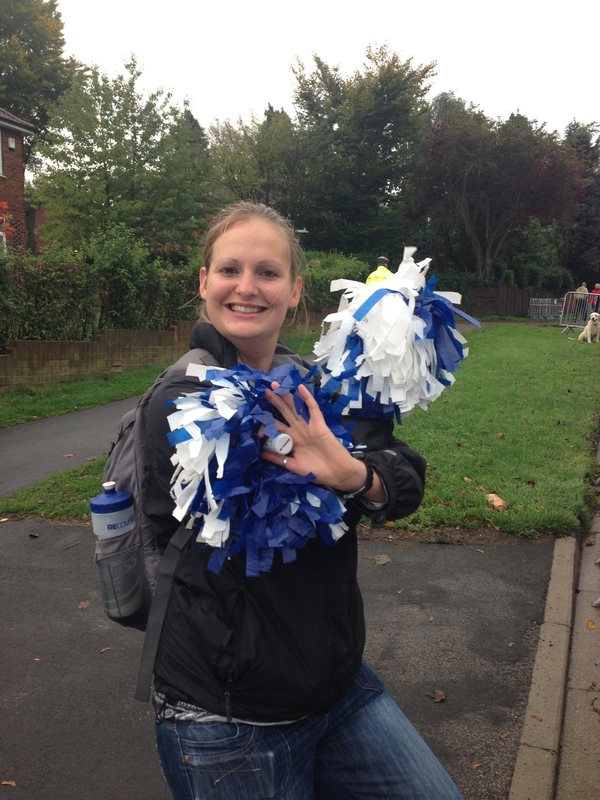 We shouted until we were hoarse, handed out jelly sweets, shook our pom poms to within an inch of their life and generally made a racket to let all the runners know how amazing they were. I hope they appreciated our loudness a bit more at this stage! After seeing most of the pack through we went back to the finish line to welcome them home and give our pom poms a final shake. The whole thing seemed superbly organised and was great fun. This will be a permanent fixture on my calendar now, but for cheerleading rather than running! Huge congratulations to all my friends from Kirkstall Harriers and those I “know” via Twitter on completing this mammoth challenge.